The German qualifier fought past Pierre-Hugues Herbert of France. Sonego won the all-Italian-affair with Matteo Donati in straight sets. Tim Pütz and Lorenzo Sonego will compete in Sunday’s €64,000 Sparkasse ATP Challenger Val Gardena, held at the Tennis Club Ortisei. Pütz fought past the tournament’s last seeded player standing, Pierre-Hugues Herbert of France, 6-7, 6-1, 7-6. The 29-year-old German, who battled through the qualifying, gained the first break of the match in the second game of the second set. Pütz withstood 20 aces, hitting six of his own and benefited from Herbert’s eighth double fault at match point to secure victory in one two hours and four minutes. “It was a close match today. I knew that I wouldn’t get too many chances on this fast surface here, but I was lucky in the end,” Pütz was happy after reaching his first singles final at ATP Challenger-level since he had finished runner-up to Ruben Bemelmans in Eckental 2014. Pütz had to undergo a knee injury in 2015 and dropped in the ATP rankings to World No. 459. 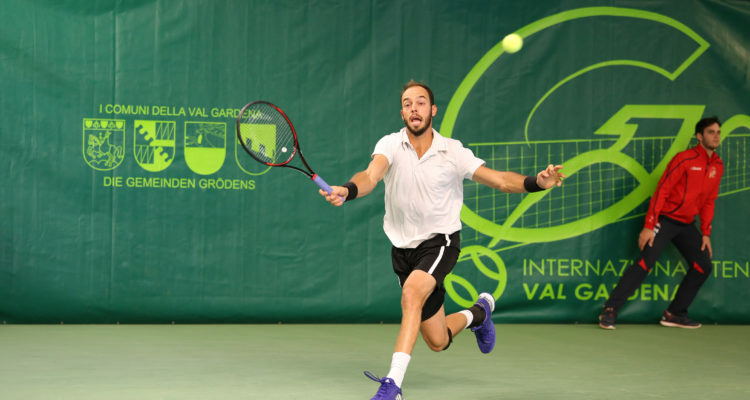 In September, he made his debut for the German Davis Cup team, helping to stay in the World Group with a doubles win alongside Jan-Lennard Struff over Portugal’s Gastao Elias and Joao Sousa. Pütz will have the chance to claim his maiden ATP Challenger crown in singles. Back in 2013, he clinched the doubles title here in Ortisei alongside fellow German Christopher Kas. The Frankfurt native will take on Lorenzo Sonego for the very first time. The 22-year-old emerged victorious from the battle of the Italian wild card entries with a 7-6, 7-6 win over Matteo Donati. Sonego fired 11 aces and won four points more than his opponent. “I have only seen him playing for the first time here in Ortisei,” said Pütz. “He plays very fast and has a good serve, but anything can happen tomorrow.” Sonego also eyes his first ATP Challenger title. 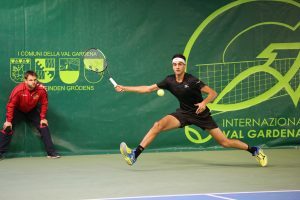 This entry was posted in ATP Challenger Ortisei, ATP Challenger Tour and tagged ATP Challenger Tour, ATP Val Gardena, Lorenzo Sonego, Ortisei, Tim Pütz.